On Saturday March 19th I will be at the Charlottesville Anarchist Bookfair at Random Row Books with the Wingnut Anarchist Collective, tabling with our zines and books for sale. I will also be doing a presentation on my book The South is Still Rising. 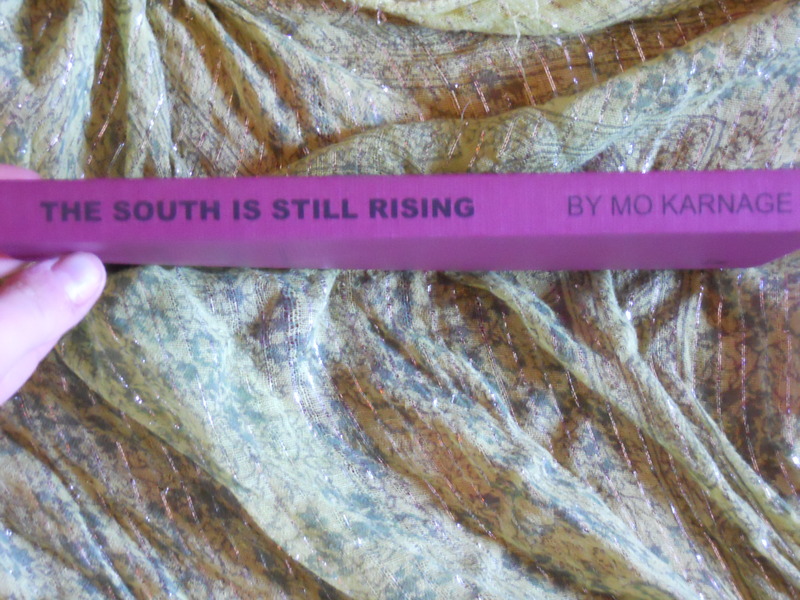 The South Is Still Rising- Book is now Available!!!! 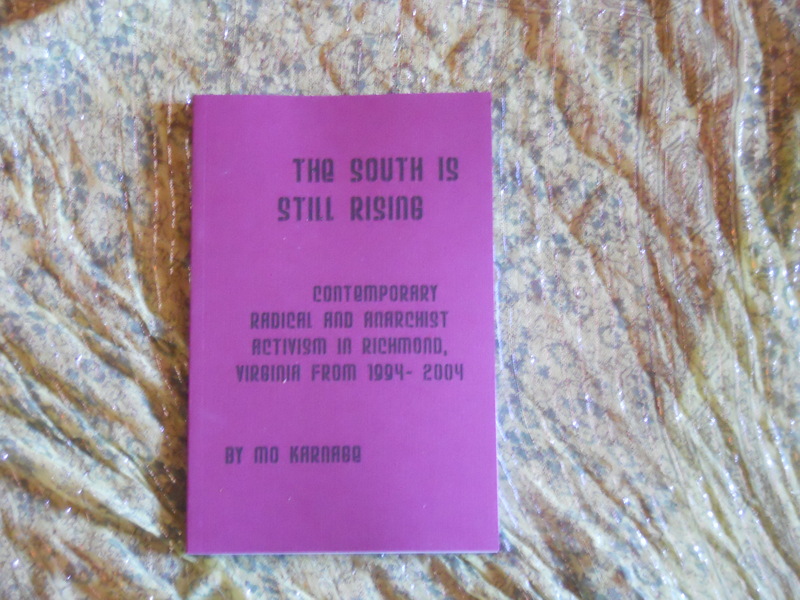 My book, The South Is Still Rising Contemporary Radical and Anarchist Movements in Richmond, Virginia from 1994-2004, is finally printed!P and L Printing, an anarchist and IWW collective in Denver, Colorado printed the book for me. It is 266 pages. Maroon cover, perfect bound. I am selling it for 12 bucks a copy. Plus shipping if you ain’t from around these parts. 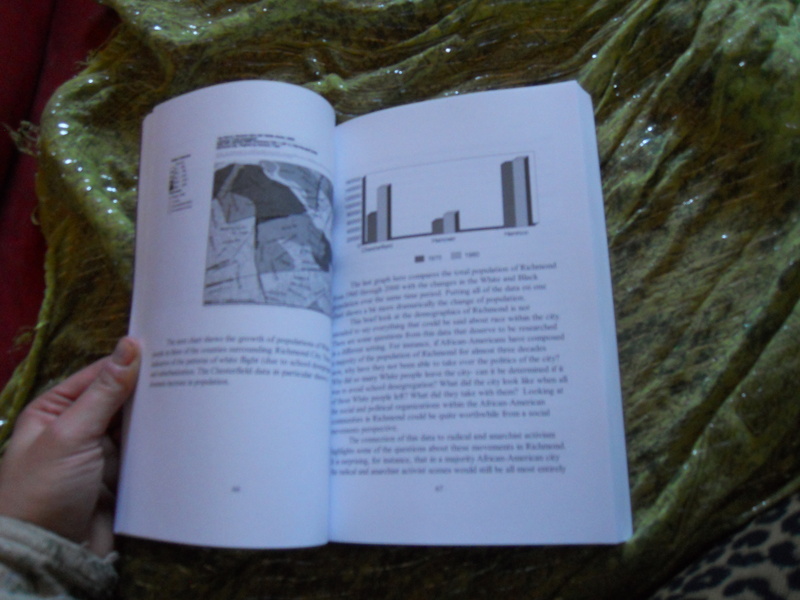 If anyone has a bookstore or infoshop and wants to buy multiple copies to sell there, PLEASE DO! We are trying to start a whole bunch of new projects at The Wingnut and could really use the financial support. The South is Still Rising explores the little known story of radical organizing in Richmond, Virginia in terms that Mo’s mom can understand. This story is contextualized in both within the history of Richmond and within the history of radical activism on a national and global scale. The South is Still Rising reveals the things going on in the old capital of the Confederacy that are not played up in the media, and that many folks don’t get a chance to find out about. This is your window into a better understanding of what is actually going on in the South. A new type of Southern Pride. A history that includes the resistance to racism, sexism, capitalism, and more. You can send 12 bucks plus 2 bucks for S+H to PO Box 6025 Richmond, VA 23222 for a copy. I might adjust the S+H price if it ends up being very different. For around 20,000 we can buy a building big enough to hold multiple projects- from childcare to a wood shop to a community kitchen to potentially doctors offices. Any contribution could help. Please let us know if you can throw down on this awesome project!! Tonight is the monthly meeting of the Anarchist Black Cross. One of the agenda items is scheduling monthly demonstrations outside of the Richmond City Jail. This is something that is really important to me, and that I think is worth doing regardless of how many people actually come out.Richmond City Jail is a terrible place, like pretty much all jails and prisons. On top of that, Richmond’s jail is in terrible condition and very over crowded. Multiple deaths in 2010 due to negligence and abuse attest to the many reasons why Richmond does not need a jail. The people in charge obviously can’t be trusted with human lives anyway. Prison abolition is the goal, and until then, prisoner support. I think this would be a visible way of letting the people inside know they are not forgotten. People on the outside will know that it is not just the family of people locked up who are affected. Our entire community is negatively affected by the presence of cops, jails, and prisons. I am always excited for sping and summer when they come, but there is also something relaxing about getting all ready to nest for the winter. There seem to be fewer scheduled activities and more time for drinking coffee and tea and playing scrabble and other board games with friends. We’ve also been doing some renovations and improvements around the Wingnut- including repainting the bathroom, repainting the kitchen, attaching the base board correctly in the bathroom, hanging a potrack in the kitchen, installing 4 doorknobs in the past month, installing a threshhold in the upstairs bathroom, building panel walls for the front porch and painting some baseboard that only had primer on it. Upcoming projects might include painting a mural on the porch panels, building benches out of pallet wood, building a coat rack, making concrete countertops for the kitchen, moving the sink onto a concrete counter top in a better location, fixing the backyard fence, building bookshelves for our radical lending library, demo-ing a trailer in the backyard etc. But right now, I just ate some waffles and I’m going to drink some coffee to wash them down. Then the post office and library! Cuddle Puddles and Hot Pants #5 (CPHP5) is a zine by Mo Karnage with other contributors including Kayla Dean (also of the Wingnut Anarchist Collective) and Autumn Springs! Topics include; gentrification, queerness, gay marriage, vegan recipes, accounability, copwatch, the campaign to keep Monroe Park Open, and more about the Wingnut Anarchist Collective. All pdfs here are parts of the zine. we are behind the times technologically. We’ve been trying to get the Wingnut ready for Winter. I have been focusing my efforts on our long neglected crawl space. The first step was to put down a 4 millimeter plastic vapor barrier on the floor of it. Today I put R19 insulation up between the floor joists. Lesson of the day- insulation is ITCHY. But I got the whole big section of crawl space done, and hopefully that will help keep the Wingnut a lot warmer this winter. Last winter we barely had any insulation up in the attic either. This year we will have finished insulation in both the attic and the crawl space as well as a wood stove. I’m gonna guess this will make some sort of a difference. Not much we can do about the old leaky single paned windows however. Progress is great! Come check it out at Wingnut open hours sometime!